The CFTU urges any all native speaking American, Canadian, British, or Australian teachers in China, or teachers with a 4 year bachelors degree in Education to reject and refuse any employment offer in China that does not pay you a wage of at least 250 yuan per hour. You are worth every penny of this wage which is about $35 per hour USD. If you accept less, you are only cheating yourself because the above two categories of teachers are now in the highest demand in China especially since foreign employees have dropped 7.8% since 2010. You are further advised not to accept any "Reduced-Pay Period" that some unethical employers will try to impose on you suggesting that you are "on probation for 3-6 months". You did nothing wrong to be on probation for anything! A 90 day trial period is common and acceptable - but at your standard full pay. Remember, while you are being paid by the hour, the school is collecting an average of 20,000 yuan per student for training that is usually a blend of classroom and software training like (DynEd, Tell Me More, or Rosetta Stone). A good school will usually keep the ratio at 4 to 2 (4 hours of classroom training to 2 hours of software training). Do the math, if there are ten students in your class, the school is netting approximately 450 yuan per hour on average per student or 4,500 yuan per hour.. Yes, of course they need to pat overhead and make a profit, but not at YOUR expense. There are many schools and training centers who will pay you 250 yuan per hour, BUT you will never get this amount paid to you if you 1) Use and agent, or 2) Fail to demand it. * 7.8% less foreigners are teaching today in China than in 2011 while demand for qualified teachers has increased 9% across China. * Inflation has increased 5% over the last three years affecting the cost of living for foreigners in China. * Predatory agents have been exploiting newly-arrived foreign teachers in a manner many would consider unethical and perhaps criminal. * Most professional translators in China now earn more money than teachers yet teachers are responsible for teaching the future citizens and leaders of the nation. * Auxilliary benefits (housing, meals, transportation, medical insurance, etc.) to teachers have been reduced 28% over the last five years while wage have remained static (unchanged). * There is no standardized merit pay scale in place that ensures pay increases as employees of all state-owned-enterprises enjoy for more than 3 decades. * Foreign teachers who are not qualified and thus ineligible to receive a guaranteed minimum wage would have incentive to complete their studies and thus improve the level of education provided to Chinese students as more and more qualified foreign teachers become available in China. * Teacher turnover rates in the Chinese schools which are now averaging 30%-40% per annum would be drastically cut in half, thus lowering the operating/training costs of the schools. 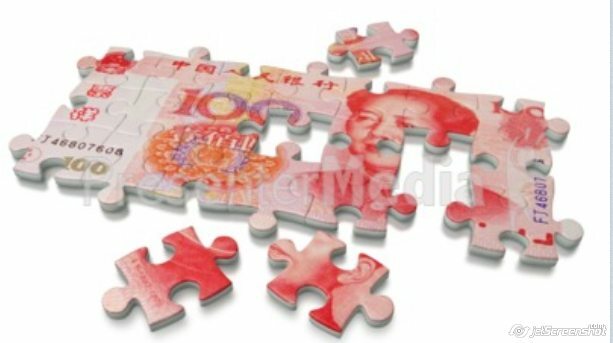 The above arguments more than justify a minimum wage of 250 yuan per hour for QUALIFIED foreign teachers as agreed by CFTU board members and over 90% of the membership as per a recent survey.